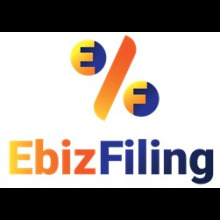 ebizfiling is a motivated and progressive concept conceived by like –minded people, which helps small, medium and large businesses to fulfill complex compliance requirements of Indian Laws. It is a platform managed and driven by Chartered Accountants, Company Secretaries, IT professionals, Lawyers, and Influencers, who have vast experiences in the respective fields. What differentiates us from others is our pricing, TAT, dedicated teams of professionals, whom we call Compliance Managers. ebizfiling is a motivated and progressive concept conceived by like –minded people, which helps small, medium and large businesses to fulfill complex compliance requirements of Indian Laws. It is a platform managed and driven by Chartered Accountants, Company secretaries, IT professionals, Lawyers and Influencers, who have vast experiences into the respective fields. What differentiates us from others is our pricing, TAT, dedicated teams of professionals, whom we call Compliance Managers, digitally advanced platforms for client serving, unique working methods, among other things. ebizfiling is a motivated and progressive concept conceived by like –minded people, which helps small, medium and large businesses to fulfill complex compliance requirements of Indian Laws. It is a platform managed and driven by Chartered Accountants, Company secretaries, IT professionals, Lawyers and Influencers, who have vast experiences into the respective fields. What differentiates us from others is our pricing, TAT, dedicated teams of professionals, whom we call Compliance Managers. In today's context, especially in the field I am into, people tend to focus more on why something can not be/should not be accomplished ! They sit on a pile of reasons of "not doing something", which ultimately stop them from positively responding to an issue. This trend is becoming popular with everyone, we deal with, in our routine lives, such as clients, vendors or teams at times ! It is not uncommon how people sit in a deliberating meeting and respond to an opportunity only by finding fault with it. Possibility thinking- is one super concept first mentioned and narrated by Robert Schuller in his book "Tough times don't last, tough people do" ! This talks about simple yet powerful management and control of ideas & thoughts ! It talks of meaningful segregation of positive ideas from negative ones. Impossibility thinkers instinctively react negatively towards a possibility-laden idea, while possibility thinkers see possibility and "'do'ability" in every idea. Let’s not reject an idea just because it is impossible at first sight or you see problems with it. Let’s not reject a possibility just because your mind is already made up. Possibility thinking is the power of achievers !